This piece was inspired by its exhibition title “Fit For Purpose”, and was designed with an Olympic theme in mind to celebrate the London 2012 games. The design plays with the meaning of the brief and the connotations of fitness associated with the Olympics. The functional purpose of the piece is to hold fruit. 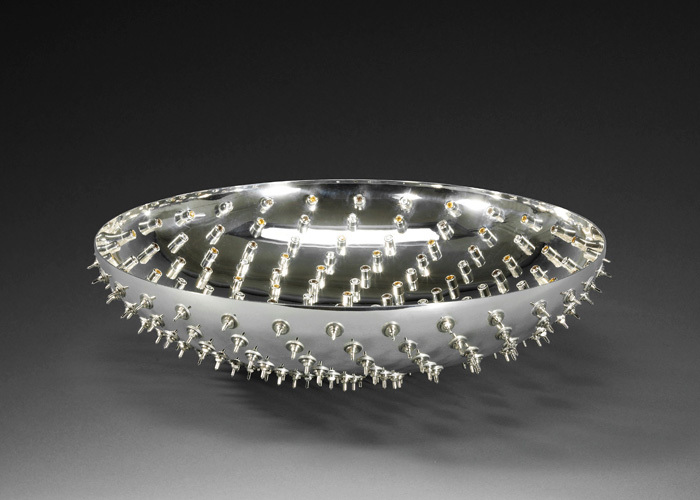 The steel running spikes echo a sense of protection for the more delicate gem stones and fruit found inside the bowl, similar to how many fruits protect their precious essence in nature.